When it comes to victims everyone has their own standards as to who qualifies. 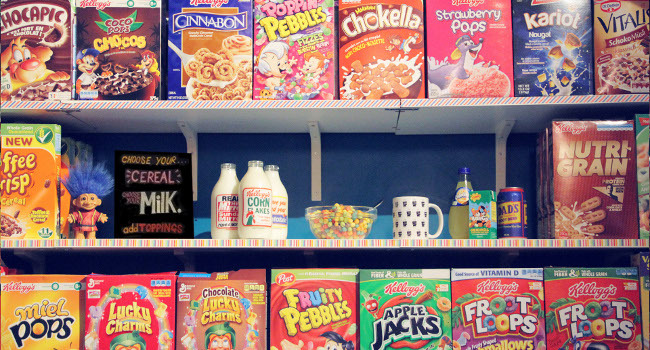 And at least for one writer on the student website the Tab, apparently hipsters who run cereal cafes are not included. On Saturday night, hundreds of protestors seemingly led by the anarchist group Class War massed in Shoreditch with the intent of demonstrating against the gentrification of the area. At least some of them ended up outside the Cereal Killer Cafe in Brick Lane, a shop which sells bowls of cereal for £3.20 that has become a symbol of the fact that young, rich folk are increasingly dominating what used to be a poor neighbourhood. The cafe was then pelted with paint as people hid inside, with one of the owners fearing the windows were about to be smashed before the police arrived to break up the crowd. Yet for William Lloyd, assistant editor at the Tab, the owners of Cereal Killer Cafe are “barely even victims at all”, and indeed the mob that attacked the shop are described as “heroically” arriving at their intended target. “A hate crime is generally defined as ‘a prejudice motivated crime that occurs when a perpetrator targets a victim because of his or her perceived membership in a certain social group’. “We don’t want luxury flats that no one can afford, we want genuinely affordable housing. We don’t want pop-up gin bars or brioche buns – we want community. “Without fear of reprisal”? Just what kind of illiberal savagery is Lloyd excusing? Does he want London to be the sort of city where people can vandalise a shop just because its owners are not the right sort of people? Thankfully the liberal commenters on the offending Tab piece largely disagree with Lloyd. And should the mob apologist wish to live in a country more suited to his tastes he already knows where he can organise passage to Islamic State. Previous Article← Is David Cameron really too busy to sue Michael Ashcroft over piggate?